Oliver Huntemann teams up with compadre André Winter for the phenomenal "Reeperbahn". Senso Sounds is now starting its fifth year and here with release #50, Huntemann and Winter kickin' it with a driving slice of slick techno full of dramatic twists and turns. Kontakt is the label's new release series presenting the teamwork of respectively two producers. One-sided picture disc; limited edition. Maksim Dark returns to Oliver Huntemann's Senso Sounds for his tougher, technoid leanings. Dark has created an indelible impression over the course of his career, and Movement is clearly the next step toward great things. "Attack Disco" is a lean, mean and tough piece of techno with a driving, powerful edge; growling, snarling synths sound like shards of metal ripping through the groove. "Coordinate" is more reserved, but builds a killer, hypnotic groove with stripped back elements. The title track fits its name, bursting with energy and atmosphere, propelled by a thick, tactile rhythm and a demonic vocal. Now with over 20 years of releases behind him, Oliver Huntemann finds himself on the cusp of yet a new era in his career. Propaganda is the fifth proper artist album from the Hamburg-based DJ/producer, and like each of its predecessors, it shows a different side to one of the most consistently rewarding names in techno. Released on his own Senso Sounds label, the album exudes the level of assurance that perhaps only comes with being so active in curating and developing a label that has stood out from the masses since its inception in 2014. With four previous artist albums, about ten mix albums and countless EPs and remixes under his belt, Oliver Huntemann is has been one of the leading figures in the techno and tech-house circuit since the late '90s and admired for his unique style and his fascinating DJ sets. Huntemann's fifth full-length album Propaganda is like its predecessors, another step forward in the career of the producer. Here he takes full advantage of the album format. Tracks like "Taktik", "Poltergeist", "Rotlicht", or "Momentum" set the mood with crisp motorik drum programming and deep pulsating basslines, while tracks like "Malaria" create more of a freaked-out and edgy vibe. But there is also room for atmospheric and ambient, downbeat interludes like "Anonym". As a whole, Propaganda is an impressive, versatile, and multi-layered body of work laid out in a state of the art production. Includes download code with four bonus tracks. 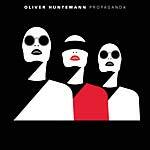 Two key tracks from bossman Oliver Huntemann's forthcoming Propaganda album. "Rotlicht" is a precision-honed instrument of techno weaponry -- hard as nails and featuring epic and mind-bending breakdowns. Egyptian DJ and producer Raxon reworks the track into a deep and solid groover with plenty of attitude. "Poltergeist" is a journey into Huntemann's feel for sound design and space in a club context -- seemingly simple before hitting home with shifting, evolving grooves and haunting synth blasts. Russian Maksim Dark adds his own interpretation of "Poltergeist", edging up the darkness a little more and producing a growling, tough techno workout. 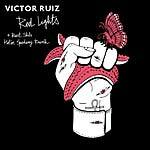 Victor Ruiz provides four tracks of uncompromising, precise techno. 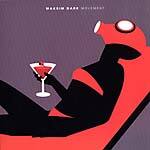 "Red Lights" is a spacey journey to the heart of the dancefloor - shaped for maximum effect on big room sound-systems. Dutchman Bart Skils a sick "Motor Speedway" mix - somewhere between the krautrock influences of Kraftwerk and the sleek techno of Detroit's second wave. "Nevermind" sees Victor Ruiz do what he does best - exploring track dynamics within a perfectly developed journey. Label boss Oliver Huntemann provides the remix - steeping the track down in his signature sound - deep and streamlined, yet full of emotion. Oliver Huntemann's Senso Sounds label provides a comprehensive retrospective of the seminal Dubfire & Oliver Huntemann collaboration project with this double CD package. CD One, titled The Spirits, is dedicated to the Diablo (2008), Dios (2008), Humano (SENSO 018EP, 2016) trilogy and includes all mixes of the brand new track "Humano". CD 2 sums up the Elements series consisting of Fuego (IDEAL 011EP, 2010), Terra (2011), Aire (2013) and Agua (2014). The pair's output, since debuting with the epic Diablo in 2008, has now spanned eight years, and Retrospectivo provides a timely reminder of how two of the most influential statesmen of the techno continuum have constantly pushed the boundaries of electronic dance music, and each other, forward. Retrospectivo contains each of their original releases, complemented by a host of exceptional remixes from other key figures in the scene. The CDs were preceded by warmly welcomed new reissues of Terra and Fuego, stretching out over a luxurious 2+ hours of prime techno. "Diablo" kicks things off, sounding as fresh as the day it was unleashed in 2008, and is accompanied by the Carlo Lio remix that pushes its muscular driving vibe into a new territory. "Dios" also appears with the rework from Jon Gaiser, via his Atheists Anonymous Remix, crystallizing the original's ten minute form into a taut, powerful six minutes of dance floor gold. The new track "Humano" appears here in four glorious versions from the original via newer interpretations from Hatzler, Shaded's Summer Skin Remix and the Victor Ruiz mix. 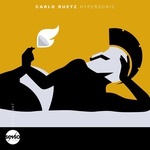 Kicking off CD 2, "Fuego" burns as brightly as ever with additional heat added by Julian Jeweil's masterful remix, while "Terra" gets the treatment by the ever dependable Joseph Capriati. Three different mixes each of "Aire" and "Agua" complete the package, with the combined talents of Matador, Peter Dundov and Detroit's own Carl Craig rounding off the compilation in particularly fine style. 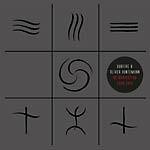 Both Dubfire and Oliver Huntemann have pursued their own paths that have seen them reach dizzying heights within the techno world, but these recordings and their expertly curated reworks will remain a benchmark for many. As a special bonus, the double CD (via a download code) include an hour-long Retrospectivo-mix by Dubfire & Oliver Huntemann. Dubfire & Oliver Huntemann revisit their Elements project with a new series of killer remixes. 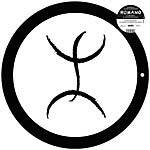 Terra, originally released in 2011, is remixed by Joseph Capriati. The Italian techno headliner delivers a signature slice of muscular, driving techno - taut, dramatic and devastating. Fuego, originally released in 2010, is remixed by Julien Jeweil. The Frenchman's remix of "Fuego" is stripped back machine funk primed for big systems and even bigger moments. 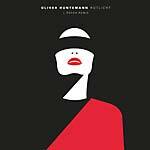 Techno heavyweight Dubfire and label boss Oliver Huntemann present Humano, the second part of a continuation of the "Elements". Former Deep Dish man Dubfire's uncanny knowledge of how to create epic dance-floor moments is in full effect, combined with Huntemann's precision tool production techniques on the original version of the title track. The rest of the EP is a set of sick remixes. Victor Ruiz tweaks and refines the track into a damager. Hatzler emphasizes more of the space in the original. Shaded's "Summer Skin" remix delivers a tightly wound interpretation, with a bubbling bass line and nervous, excited groove. 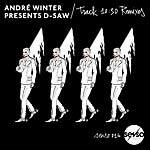 André Winter aka D-Saw presents four remixes of his classic "Track 10:30," originally released on Hamburg's highly influential Superstition label in 1996. Hamburg's own H.O.S.H. (Holger Behn) delivers an epic twist to the cut, widening out the spaces and adding his own techy signature. Re.You offers up another flavor altogether, maintaining the iconic synth pulse of the source but introducing an infectious, driving groove. dubspeeka throws a bit more grit in into proceedings with a tough, machine funk mix, while Winter himself reworks his classic into a slow-burning groover that effortlessly showcases the elements that make this track so timeless. 180-gram 12". 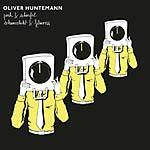 Oliver Huntemann always delivers, especially on his own Senso imprint. On "Pech," elements unfold and flower organically -- including a sustained and deliciously pitch-bent bass tone -- as the tune reaches its climax of dancing synths. The echo and distant music-box pings of "Schwefel" are finally subsumed by gritty synth repetitions before the pitch-bent bass of "Schwarzlicht," precision-engineered for a massive system, twists like a contortionist while piercing stabs pulse and ping. On "Filmriss," a pitched-up pulse -- like a string slowly tightening to its breaking point -- makes way for a truly monstrous and memorable sub bass. "Are you ready to rise up and take your life into your own hands?" So goes Nick Maurer's challenge on Mark Deutsche & Musoé's stunning transmission of pounding, deadly deep techno. "R U Ready" delivers a windpipe-rattling kick and a grainy, melodic riff that whips the listener higher and higher into oblivion. The textures are delicious, the rhythms understated yet complex. Alex Dolby's remix vibrates, ripples and quivers in an edgy, avant-garde manner. Meanwhile, Senso Sounds founder Oliver Huntemann's remix takes a big-room techno approach with textbook build up, breakdown, and a climactic pay-off, precision-tooled for the dancefloor. Oliver Huntemann's beloved globetrotting mix series PLAY! is set to touch down for its highly-anticipated fifth edition in Vienna. 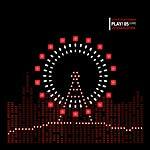 Having journeyed through four of the world's best nightclubs on four continents, PLAY! 05 is the most recent glimpse into Oliver's DJ mindset. "Schnitzel" is a deeper, darker shade of the classic Huntemann sound, with long synth trails and inky tones, perfect for diving deep into the after-hours, while "Vienna" takes the flip-side stage on this two-track EP. Two CDs for the price of one. Oliver Huntemann's beloved globetrotting mix series PLAY! is set to touch down once again for its highly-anticipated fifth edition on Huntemann's new label Senso Sounds. Having journeyed through four of the world's best nightclubs on four continents, PLAY! 05 is the most recent glimpse into Huntemann's DJ mindset: the tracks he's playing, the stories he's telling, the journey he is undertaking, and the ever-important relationship he has with the dancefloor. With four artist albums, about 10 mix albums and countless EPs and remixes under his belt, Oliver Huntemann is one of the leading figures in the techno and tech-house circuit since the late '90s and admired for his unique style and his fascinating DJ sets. The PLAY! series has provided Oliver Huntemann a unique platform -- allowing him to showcase the tight, nuanced techno and tech-house that he's pioneered over the last two decades. The series began in Brazil in 2007, and has followed the highly-effective format of live recording Oliver performing at some of the most iconic clubs in the greatest cities of the world. Having already taken in D-Edge (São Paulo), Rex Club (Paris), Cielo (New York) and Roxanne Parlour (Melbourne) -- Oliver delivers PLAY! 05 from Grelle Forelle in the Austrian capital, Vienna. Grelle Forelle has established itself as one of the top clubs in Europe over the last three years, and provides the perfect environment for Oliver's modern musical journey. PLAY! 05 reveals an artist at the height of his powers, continuing to rock dancefloors and home listeners alike through his innate ability to create tightly-constructed, perfectly balanced sets. PLAY! 05 presents no less than 14 tracks that have been exclusively produced for this album by Jacob Phono & Jens Bond, dubspeeka, Matt Sassari, Florian Gasperini, Rob Hes, André Winter, Dema & Alex Mine, Andreas Henneberg, BE/LA, Mark Deutsche & Musoe, CJ Hartmann, Siles & Aboga, André Winter & Hatzler, and Oliver Huntemann himself. Other artists include: Josh Wink, Harry Romero, Djuma Soundsystem vs. Shades Of Gray, Hallo Halo, &ME, Renato Ratier, Cesare vs. Disorder, Kasbah Zoo & Oniwax, Mark Henning, Jules & Moss, Nolan & Idris Elba, Faded Ranger, Silky Raven, Oliver Huntemann & Dubfire, Carl Craig, Radio Slave, Sinisa Tamamovic, and Sian. André Winter and Hatzler's unique studio alchemy has revealed itself under many guises over many years. Their latest incarnation sees them join forces yet again for an impressive selection of maximal techno future classics. There is nothing illusory about the duo's Mirage EP; the three tracks are rock-solid, bristling with energy, and designed for maximum impact. "Mirage" is pure forward movement and acceleration, straight out of the gate. "Kwantum" continues the metallic tones and spiky attitude, and "Glowsticks" possesses the color and vibrancy that the name suggests, creating a big, bright peak-time belter. Hailing from the dubwise melting-pot of Bristol, UK, Dubspeeka presents three heavy cuts that effortlessly blend speaker-punishing subs with the driving, crisp techno that Oliver Huntemann's new Senso Sounds label is becoming known for. The track "Move" oozes menace and tension -- its heads-down attitude will go over big on harder-edged dancefloors. Likewise, "Fargo" is relentless in its mission -- the tough bottom-end and tight groove is offset by some surprisingly subtle pads -- but the result remains a hypnotic bruiser of a cut. "Spiral Tribe," named after the legendary free party warriors of the '90s, completes the release. Senso, the brand-new imprint from Hamburg's Oliver Huntemann, delivers its debut release from the boss himself -- two tracks of exceptionally focused, highly-charged and deeply sophisticated techno from the heart. "Donner" is an epic 9-plus minute workout of muscular beats, off kilter percussion and tense, minimal melodies -- a master class in the art of building tension and its eventual release. Similarly, "Blitz" weaves a narrative out of a terse, tightly-wound groove and elements that gradually build and build, stoking the fire. Metallic, buzzing synths fire and recede, ultimately exposing the jagged machine-funk core of another exceptional Huntemann transmission.